A colder or drearier* day would have been hard to imagine last Saturday, but given we’d been relatively home-based for the previous few days, and had my parents staying, we felt that a little outing was in order. 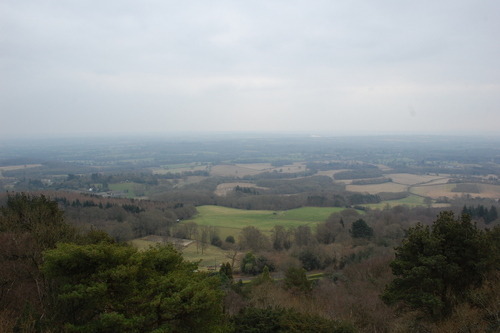 We settled on Leith Hill on account of it being both close and free (as we’re National Trust members). 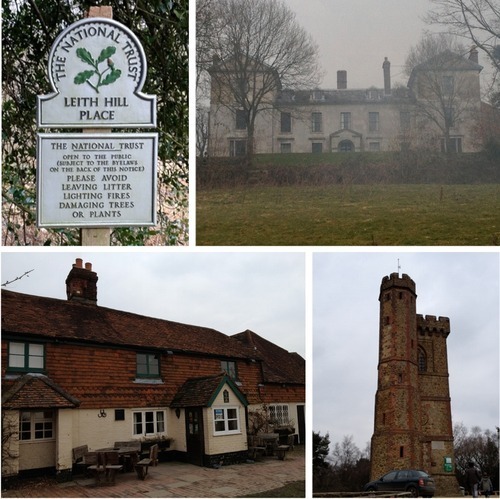 Forming part of the estate belonging to Leith Hill Place, the tower atop the hill is the highest point in South-east England at 305m; it’s always good to have a selling-point when venturing out on inclement days, don’t you think? It turns out Leith Hill Place was quite the celebrity hotspot in it’s day, having been owned by Josiah Wedgwood and his wife Caroline, and visited by Caroline’s brother, Charles Darwin, on numerous occasions. However, the house is most famous for being the childhood home of composer Ralph Vaughan Williams whose mother, Margaret, was the youngest daughter of Josiah and Caroline. After inheriting the estate from his brother, Ralph Vaughan Williams bequeathed it to the National Trust in 1944. The are many well-signposted trails to follow, but our 2.5 mile ‘Woodland’ walk took us through the Rhododendron Wood, across the fields towards the somewhat bleak and austere house, and then up Leith Hill itself to the 18th century Gothic tower which affords, even through the mist, amazing views of landscape below. Apparently on clear days you can see 13 counties; worth a return visit on a fine day to witness that I think. Like all good walks, it ended in the pub where we warmed up and ate a well-deserved lunch. * Apologies for the low-grade images, it was not a forgiving light to take photos in. 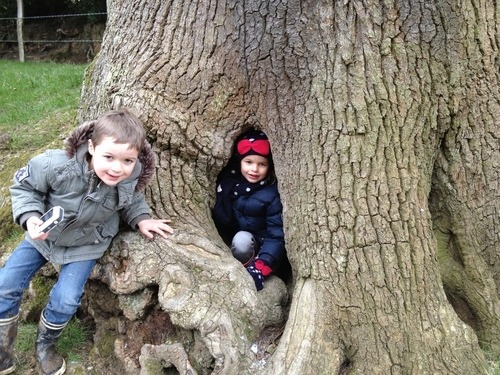 This entry was posted in Out & About and tagged Leith Hill, National Trust, Surrey, Surrey Hills. Bookmark the permalink.